- New packaging provides double-sided cooling for improved heat dissipation. TOKYO--(BUSINESS WIRE)--In August, Toshiba Electronic Devices & Storage Corporation (“Toshiba”) will start mass production and shipments of “TPWR7904PB” and “TPW1R104PB”, 40V N-channel power MOSFETs for automotive applications. They are housed in the DSOP Advance(WF) packages that deliver double-sided cooling, low resistance, and small size. 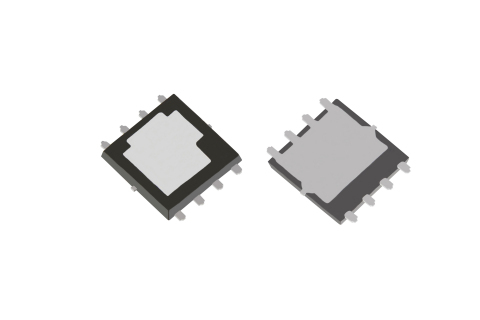 The new products secure high heat dissipation and low On-resistance characteristics by mounting a U-MOS IX-H series chip, a MOSFET with the latest trench structure, into a DSOP Advance(WF) package. Heat generated by conduction loss is effectively dissipated, improving the flexibility of thermal design. The U-MOS IX-H series also delivers lower switching noise than Toshiba’s previous U-MOS IV series, contributing to lower EMI. The DSOP Advance(WF) package has a wettable flank terminal structure. Wettable flank terminal structure: A terminal structure that allows AOI (Automated Optical Inspection) of installation on boards. Be aware that the top plate has the same electric potential as the sources; however, not intended for an electrode. Follow the link below for more on Toshiba MOSFET line-up. Toshiba develops automotive 40V N-channel power MOSFETs in a new packaging featuring double-sided cooling for improved heat dissipation.